I am slowly getting back to work after a much longer maternity leave than anticipated. Being a Mum for the past year has been wonderfully all-consuming and whilst I have tried to keep an eye on things at The Good Wardrobe, time (or lack of it) has not allowed me to stay as connected as I had hoped. 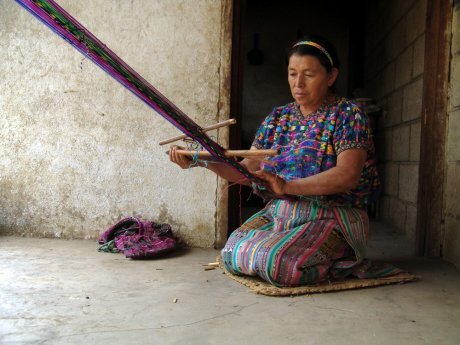 Coleccion Luna was founded in 1999 by American designer and social entrepreneur Stephanie Jolluck who works with Mayan Indian communities in Guatemala to produce a collection of unique accessories. 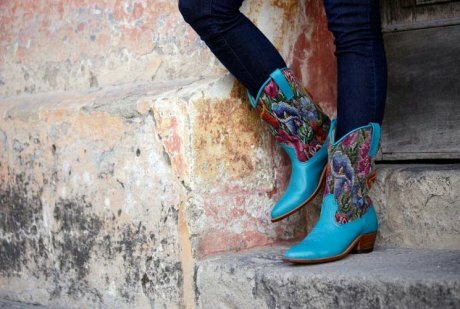 The bespoke boots and denim jackets are made by, and in collaboration with, cooperatives in the Guatemalan highlands using local leather or second-hand denim and ‘gently worn’ Mayan huipiles, the traditional hand-woven cotton blouse of indigenous women. For the bags, Rolluck has collaborated with Italian designer Rosangela Veglio, who, after a 25 year career working as a fashion designer in Italy moved to Guatemala in 1995. 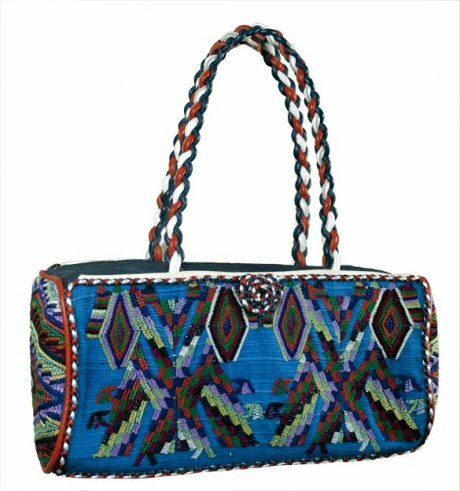 Her newfound passion for the culture and ‘indigenous world’ of the Maya Indians was the catalyst for setting up a studio producing handbags and accessories inspired by, and incorporating locally woven textiles. Veglio’s handmade bags for Coleccion Luna combine Italian leather and design with traditional Maya weaving techniques. 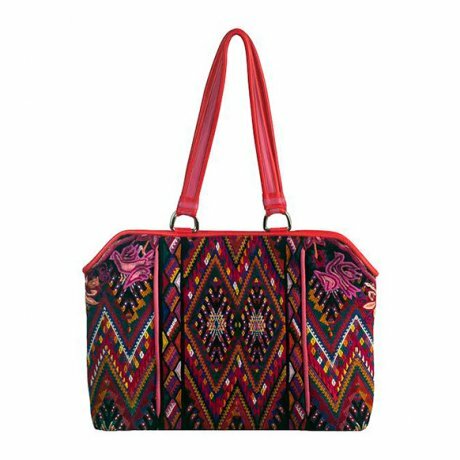 Jolluck is proud to report that 'the bags are produced in Rosangela's studio using Fair Trade practices....she has been working with the same artisans for almost 20 years'. A long-term supporter of Fair Trade and humanitarian work, Jolluck is fully committed to ensuring the people she works with are fairly paid for their expert craftsmanship. She also aims to help preserve the skills of the producers in the region. ‘We purchase 100% cotton weavings at, and above fair market value from the women directly. The family that we partner with on the denim jackets has created product for us for over 16 years. They were the very first family we started Coleccion Luna with and continue to be our closest friends/familia and business associates. We have always paid them fairly (they have always set the prices to what they/their co-op needs for their time, material, etc) and they work on their schedule in the comfort of their home...The boots are made by multigenerational boot makers and we pay above what they charge in their stores'. It is no surprise then that she has received awards and recognition for her social entrepreneurship including reaching the finals of InStyle Magazine’s Independent International Handbag Designer Awards and SPANX Leg Up Winner. Every aspect and detail of each Coleccion Luna product and its journey from design, to producer, to the new owner appears carefully and lovingly thought-out. 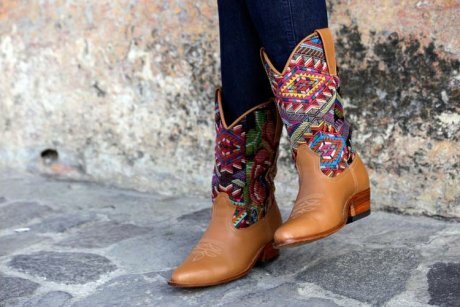 The boots are custom-made to order: you have the opportunity to be involved in the process by selecting the leather, colour and textile design before giving your own measurements. The cost of each pair is, as you would expect, far more than the high street, but for a bespoke service such as this (which also includes global shipping), it's well worth it. The Coleccion Luna ethos of producing beautiful yet durable accessories is further evidenced by the useful FAQ section on their website which gives advice for product care including suggestions for cleaning your leather boots. These really are designed and made to be heirloom pieces. Over the past eight years I’ve been immersed in a slower, more ethical way of living. Now I am a parent and I am about to move house, I have far less time to shop and have found that I am more focused on streamlining my belongings. I have an even greater desire to create a capsule wardrobe of beautiful pieces that are made to last. I am rather enchanted by the story behind Coleccion Luna and their gloriously colourful collection. 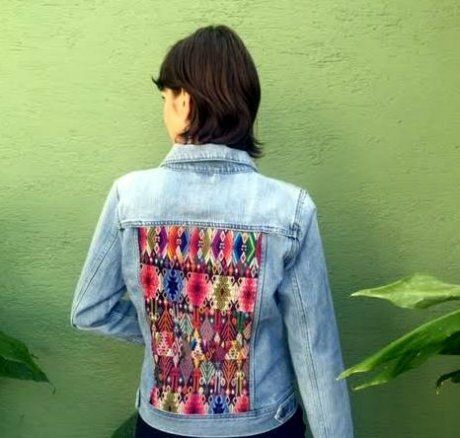 These one-of-a-kind heirloom pieces are something rather special and like the Mayan huipiles I have a feeling they hold a bit of magic within them. The boots and bags are available from the Coleccion Luna website and the denim jackets can be found on their Etsy shop.